"Big Mac with a side of quinoa? Inside the world's first McDonald's Next"
Gone are the red-and-yellow color palette and harsh lighting. 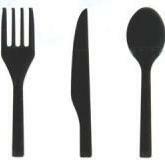 In their place a sleek black-and-white logo, ambient lighting, glass and metallic interiors and... a salad bar. The unlikely offering is filled with 19 ingredients including "two choices of salad base greens, two kinds of cheese, three flavors of sauces" and -- of course -- quinoa. Additionally, McDonald's Next is trying to elevate the overall fast food experience with table service after 6 p.m. and premium coffee blends. I think they're still going to have an issue regarding value/cost with their customers. but ..................... why Hong Kong ? I always bring their cheeseburger home and nuke for 20 or so seconds to melt the cheese and heat the damned things back up. If there's lettuce and tomato, of course you have to remove them before the nuke treatment. These days McD's serves nothing but leftovers from a low-heat cabinet that I can't believe passes health department standards, but in 10 or so visits, you might get fries right out of the fryer. Those are nirvana, burn your fingers good, and must be consumed on the trip home. McD's fries do not take well to reheating either in the nuker or the oven. They became such a successful business model on cheap food prepared pretty much to order. Now they serve mostly old leftovers. And they wonder why their sales aren't good? If I'm going to pay for leftovers, it has to be ultra-cheap, which is why I almost never go there unless they are offering a steal deal, like the McPick2. Especially with the price of beef these days, that is a real loss leader. Still, neither the husband nor I want to go back during the limited time promotion. I will say that I have never gotten sick from their food, which is pretty much a miracle, in that it's all prepared way ahead of time and held at what I think is less than 140 degrees F, which is required by our local health department for holding cooked foods. They continue to get away with it somehow? along w 2 for 1 coupons. the coupons cut down on temptation otherwise. can I get two burgers ? Years and years ago--I was like 10? 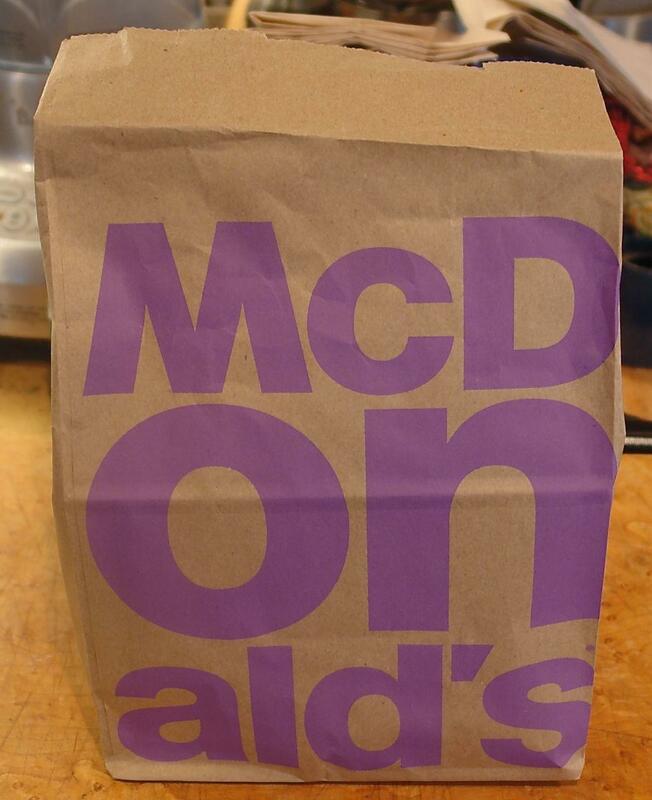 So like 30 years ago when we lived in Colorado we went to the big city, stopped at McD's on the way home, and mom got some chicken McNuggets. She got SO SO sick. No bathrooms where we were for a long while. I'll never forget how miserable she was. I don't think she's ever let another McNugget cross her lips. Now the fries are another story. I agree they are GOOD. McD is about 3 - 4 miles away and easy to get to. I nuked each for 20 seconds, 'in situ' and added just a little more mayo and some ground pepper. I was hungry, BTW, a requirement when ever considering McD's along a a coupon. 2 for 2 Ive decided qualifies as a coupon. but can't say if you can get 2 of the Same Thing. I would just ask for fresh fries or burgers or whatever. Its usually worth the wait. When waiting to board a ride at a theme park, when its my turn I'll ask for the seats I want and just wait the few minutes also. When my husband and I went to take advantage of the McPick2 deal, we each ordered two McDoubles and an order of small fries. So in all we got 4 McDoubles, and 2 small fries for $6 plus tax at our local McD's. So at least at our location, you can order as many of the same item you want in multiples of two. There is no info on the website about limits, so it may vary by location. yep. in my area any two work, even if the same. Haha number 4 of course! But I do love the McChicken. That "Next" concept sounds like yet another dumbass move on the part of corporate... nobody is ever going to want to go to McDonald's for quasi-upscale (or even quasi-low-middlescale) dining. The whole point of McDonald's is cheap, tasty, probably unhealthy, probably drenched in MSG, fast food! Get back to doing that right and they could recapture a swathe of the market. It probably won't fly in the USA. But it might work in Hong Kong and other places in Asia, India too maybe. There is a reason why they launched it in HK, not in some US city. Notions of what constitutes "Western Desirability" might differ from what that may or may not be in the USA. As it is, the initial reports seem to indicate the new places are quite popular in HK. ETA: Remember that McD earns money in many more markets than the USA. The East Asian markets, for that matter, have LOTS OF MONEY available for spending. Here's one chart to remind us that McD earns twice as much in the ROW than it does in the USA. I guess I should hope the 2 for 2 ends soon. its 2.4 miles to my Local. I checked. one light. no traffic . I found this out Friday night at a McD's on my way out of town (slowest drive through in America ). Duplicates are fine with the McPick2 for $2. The fried mozzarella sticks are a joke. Don't bother with them. The box packaging they're served in probably cost more than the cheese sticks did (and likely tastes better ). The McDouble is like a souped-up cheeseburger and I consider it the best value of the McPick2 items. 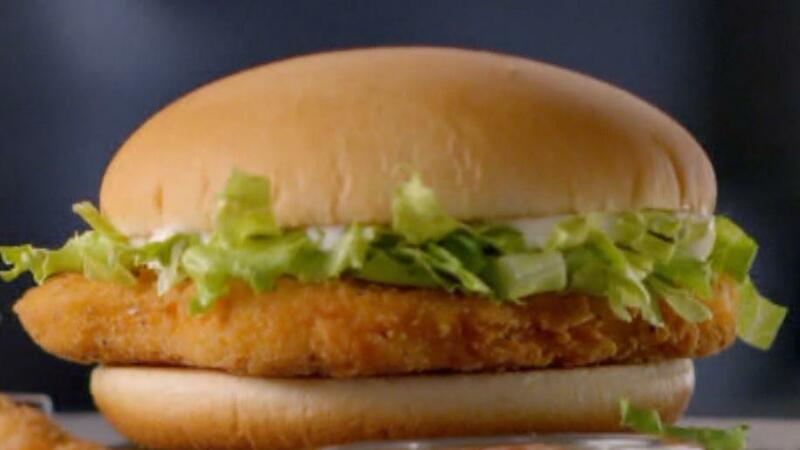 The McChicken sandwiches on the McPick2 menu are spicy McChicken sandwiches at my McD locations. But I consider those cheap chicken sandwiches a joke as they need some serious doctoring up on them before they're palatable. I was certainly wondering about the 100 regional items also. I guess maybe things that I consider normal fare for McDonald's are regional and I just didn't realize it. Of course I also have never seen McDonald's with that many items on the menu total either! Thanks for the tip about getting to that article around the pay wall. McDonald's posts sales figures globally and domestically (USA) exceeding forecasts. typical menu has about 120 to 140 items, including size variations, and about 100 of those are specific to a region. I also have never seen McDonald's with that many items on the menu total either! I thought the same at first glance, although if beverages, in their various sizes, are considered menu items (and they certainly do appear on the menu board AND account for some regional variations), I can see how they could get to that total with at least 3 sizes of each fountain drink, coffee (+decaf), tea, iced tea (sweet and not), milk, OJ and other juices, milkshakes, bottled water. Then throw in the dessert-type items like the pies, cookies, sundaes, danish or other breakfast pastries that come in various flavors and that ups the count, too. through google new one can sometimes pass the pay barrier. I saw the news on how all-day breakfast seems to have turned the McD's sinking ship around. Jack-in-the-Box has been serving all-day breakfasts for years. McD's does it and it's suddenly newsworthy. Go figure. I think the bastards at McD's killed my morning breakfast order (combo with two Sausage Egg McMuffins). I didn't see it on the menu the last time I drove thru for breakfast and that irked the crap outta me. What combinations are available in a particular market may be a regional thing also because we have the combination you talked about available here in Louisville. Of course we don't have Jack-in-the-Box, wish we did, so I can compare the breakfast menus. I actually wish that Hardee's would extend their breakfast menu to being available all day, the have some of the best biscuits around. The regional variations for McDonald's all day breakfast are explained here on their website. I haven't had a Hardee's biscuit in over ten years, but good to hear they are still excellent. My husband thinks I make the best biscuits, but I better keep him away from Hardee's. Theirs are better. Probably because they are much higher in fat.